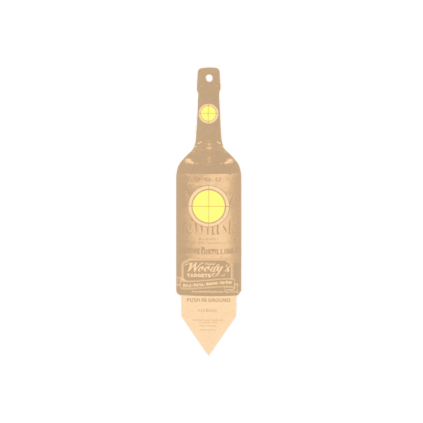 Made of sturdy 1/8” recycled wood with an integrated stake. 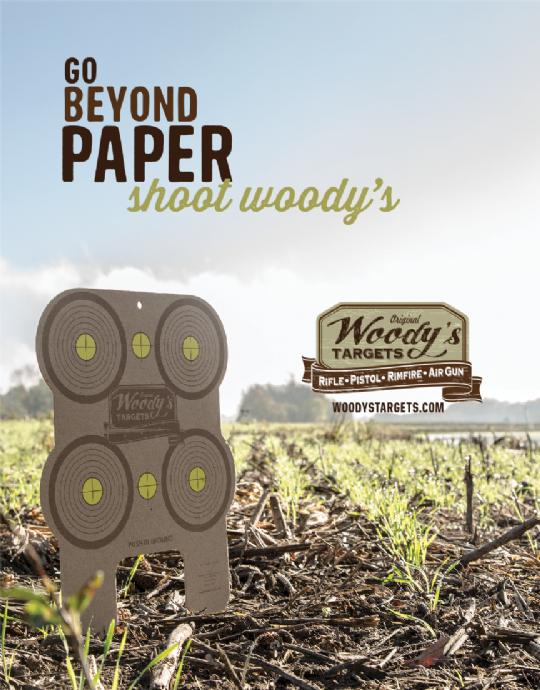 Woody’s™ Targets are more versatile than, and will outlast paper. The wood is an engineered product made of exploded wood fibers that have been highly compressed. Because there is no grain, the bullet doesn't tear through; it punches perfect holes by removing only the material the bullet contacts. 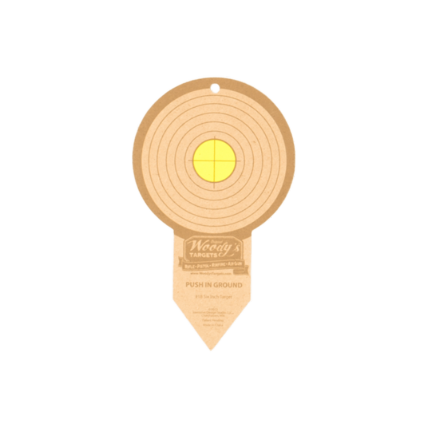 Woody’s™ Targets work with all calibers; from BBs to .50 caliber. Just stake it and engage it! No target stand required. 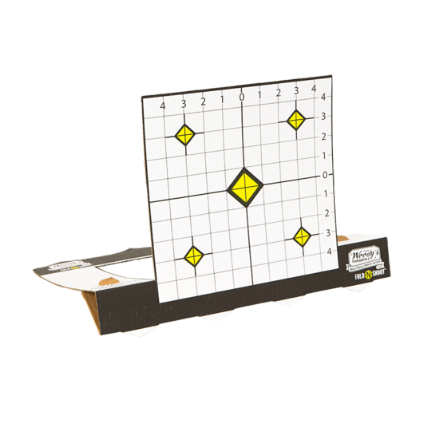 These targets fold to create their own stable base. 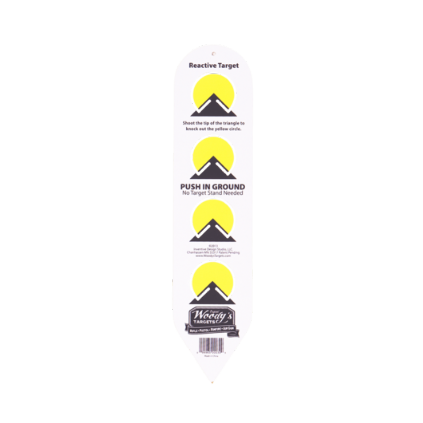 Designed to sit on the ground; they can also be taped or stapled to a target stand. 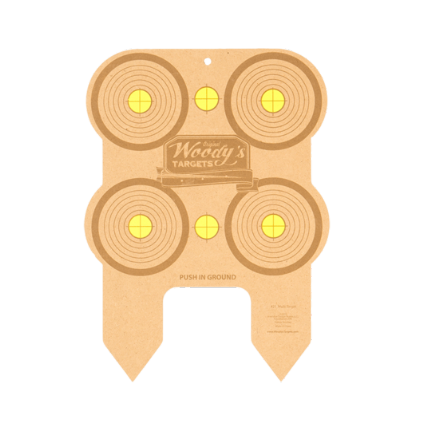 Their cardboard construction provides more stability than paper targets in outdoor conditions. 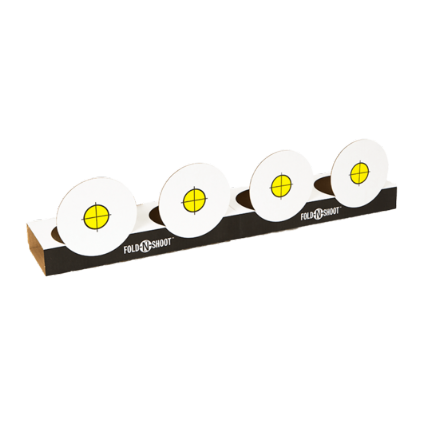 Before use, the flat profile makes for easy transportation to the range.